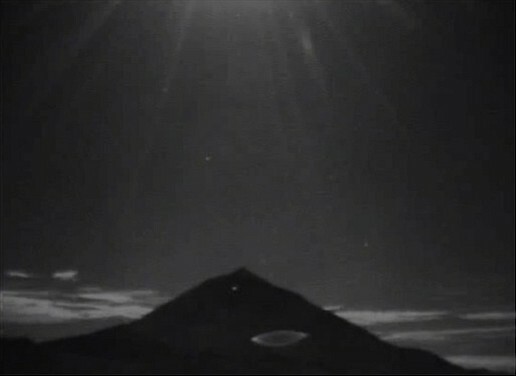 Lunar lens flare captured by a web camera at the Teide Observatory of the Canarias Astrophysics Institute on Tenerife Island. At 03:05 a.m. on October 27, 2012, the Moon (just outside the upper edge of the frame) created this flying saucer-like reflection (click image to view the video). The mountain in the background is the Teide volcano.